Veer Csongor – Veer Csongor is a classically acclaimed violinist from Budapest, Hungary, who has mastered his instrument from an early age. He is not only a master in technique, his passionate and Hollywood style playing can be heard in many movies and video game soundtracks including „The Elder Scrolls Online” Series. Sebastian Caspar – Sebastian Caspar is an award-winning violinist from Berlin who has been playing with the Berlin Philharmonic Orchestra. His technique and improvising style led him to not only play in classical orchestras and ensembles but also take part in film music recordings. 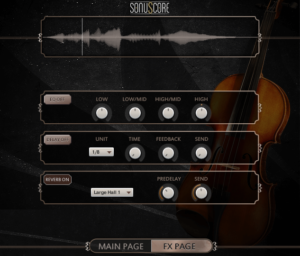 Inspired by the successful Lyrical Cello Phrases instrument, we created the same intuitive and easy to use interface that gives you instant access to the most essential features as well as the freedom to dive deeper to shape your sound as you wish. 310 Different Phrases, 19 Themes – Lyrical Violin Phrases contains over 310 unique and live performed phrases, split into 19 themes. Each theme is different in style and mode. Whether to maximize dramatic effect, create subtle tension or underline an emotional passage – tailor the experience exactly to your needs. Customizable Speed & Length – With two short end phrases per theme, you can conclude and switch between passages easily. The speed knob at the center allows for precise timing control, as the phrases were recorded to fit multiple tempi and remain expressive without a set meter. Legato Instrument Included – To expand your creative freedom and options for customization even further, a legato solo instrument has been included for you to connect and advance phrases or even craft your own. With these powerful tools right at your fingertips, you are fully prepared to implement your creative vision with ease. Starting, Middle & End Phrases – Designed to perfectly fit your track: Each standard theme comes with 5 different phrases and each phrase contains a separate starting, middle and end phrase. This setup gives you the freedom to conveniently combine different phrases the way you want. 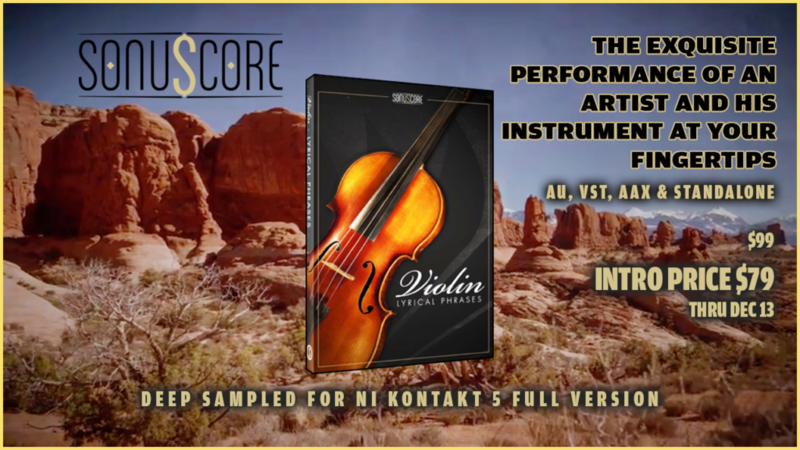 Full version of Native Instrument’s KONTAKT 5 (version 5.8.1 or higher) required! Using this library requires a full version of Native Instruments’ “Kontakt”! 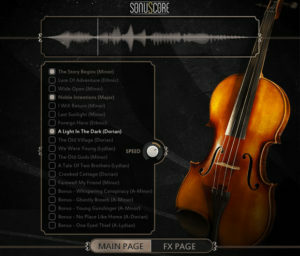 Please notice: This library can not be played with the free “Kontakt Player”! To use this “Open Kontakt” format, you need a full version of “Kontakt“, which is included in products such as Komplete or Komplete Ultimate.